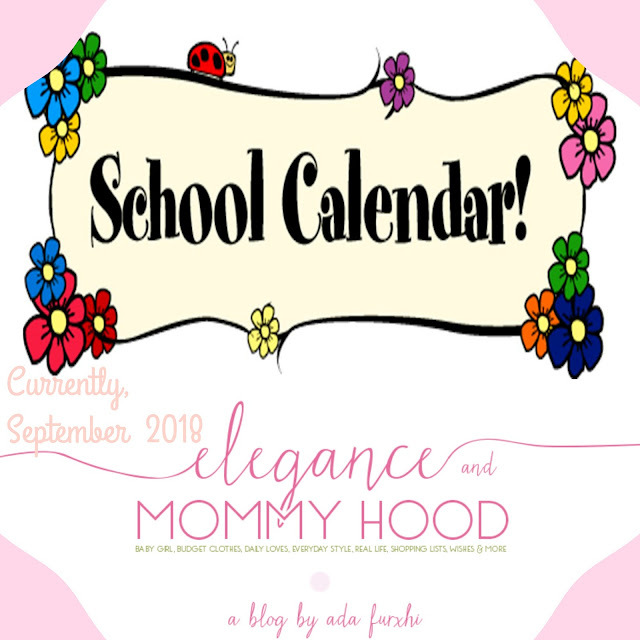 For now, let's link up as usual every month with ANNE from Anne in Residence for her monthly "Currently" posts. starting: I am not sure how I am supposed to answer this. But this month I am starting to purge as much as possible. Also starting to get more into a regular schedule for Vivian and I since she is back in school and going to Kindergarten full-time. buying: Nothing. I bought a lot of back-to-school clothes, new backpack and many school supplies for Vivian last month so I am trying to stay away from the stores for the entire Fall if I can make it. Neither me, nor my daughter need anything for now. 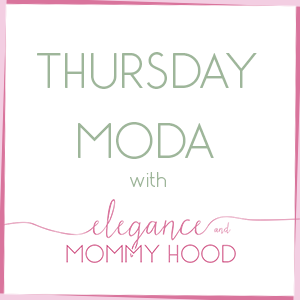 sharing: on the blog lots of outfit posts and many Mommy+Me posts from all of our Summer dates we have had. I will ease in to Fall fashion, as the weather changes. For now I plan on sharing real outfits I have worn in real time, on current weather. reading: "Sharp Objects" and another book, at the same time. I am one of those people that usually reads two books at the same time. I am very interested and curious to see the HBO series version of "Sharp Objects" too, plus there are some great actors there. recording: nothing. Do people record things these days?! Do you mean TV shows or music, albums and podcasts?! Should I be recording anything?! Let me know, please. I may be missing out on a trend. Below are three outfits I have worn around this time in previous years, on the blog. This Zipper-Front Silky Dress from H+M is one of my absolute favorites. I love the vibrant blue shade, too. Purchased in the Summer of 2014 when I wore it many times and worn at least once every Summer since then. Back in early Sept 2014 when I blogged this outfit, I went patriotic for Labor Day with my Red+White Striped Wedges. I kept my rings and bracelets simple but went for a Super Fun Intricate Geometric Gold-Tone Necklace and I must say I love my hair in this length and layered as it is. FYI, I recently wore this dress this Summer but have yet to blog it, so yeah you will see it again, soon. 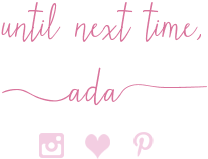 I have done these "What to Wear to a Fall/Winter/Spring/Summer Wedding" Collaboration posts since September 2014 now (when I did the very first one). Since I love dressing up, this collab is one of my favorites. In 2015 I chose this Ruched Dark Red 100% Silk Bodycon Dress by Express to wear to a Fall Wedding and I paired it with Block Heel Faux Snakeskin Pumps my Express and this Cropped Black Velvet Blazer which is actually from Wal-Mart and it is real velvet and very well-made. All of these pieces including the Silk Skinny Rectangle Beaded Clutch are old and I have had them for many years. I do plan on revisiting this series again this upcoming Fall, as well as in the Winter. I have worn several rompers and jumpsuits this Summer. I even packed a couple of them when I was on vacation in late July. 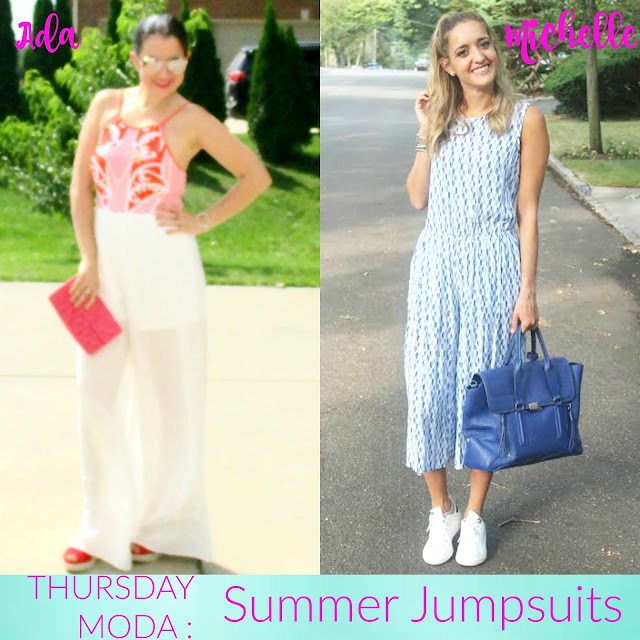 Back two Summers ago when I co-hosted Thursday Moda with Michelle's Pa(i)ge the two of us styled a Jumpsuit (me) and a Romper (her). I love love the jumpsuit I was wearing. You could dress it up as I did or dress it down. The knit mosaic halter top is gorgeous!